WeatherFlow has been an industry leader in the collection, dissemination, and visualization of meteorological data for over two decades. One of the first private weather companies to embrace the web, it has continued to create cutting edge, tailored displays for its various clients. One of the most common complaints among meteorologists is the need to look at so many separate screens to get all of the data they need to construct their forecasts, with different data streams coming from different sources and being displayed in its own system. For the last six years, WeatherFlow has put particular emphasis on serving as a data integrator – bringing disparate data sources together behind the scenes, and then displaying them all on the same display. 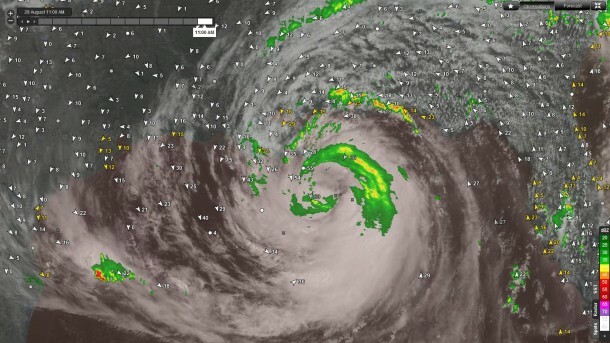 The power and utility of this data integration has been echoed repeatedly by users from a broad spectrum of WeatherFlow clients and partners – from wind energy to National Weather Service to the U.S. Navy and Coast Guard. With the advent of its Weather Engine, WeatherFlow can now access over 50,000 separate observations world-wide and display them in multiple formats, including Google Earth, multiple Open Geospatial Consortium formats, and others. For more information, go to our Data and Applications page.